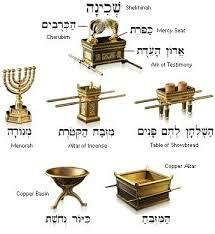 I have come to a “new” understanding of why the Torah spends so much time describing in such detail each of the pieces and furnishings that ultimately are put together to form the mishkan, the portable sanctuary which the Israelites carried with them through the wilderness. This tabernacle was not a typical construction project. It could not be built from the ground up, foundation poured, walls erected, plumbing, wiring and air ducts all in their proper place. No, the tabernacle had to be created section by section, each seemingly independent of the other, only to finally be put together by Moses. A tribute to the masterful nature of the design, every piece fit together as it was intended. The tent team, the altar team, the curtain team, the menorah team–each team worked simultaneously to create its assigned part in its own individual silo. Ultimately, and perhaps miraculously, everything fit together to form a suitable dwelling place for God’s presence. The success of the project points to the ingenuity of its management and to the Divine inspiration of the plan. The achievement is all the more remarkable when we consider how difficult it can be to recognize how actions inside our individual silos can affect or impinge upon the work of others and their interests. Our neighborhood high school endured a few difficult days last week, as the students prepared for the opening of their production of “The Producers.” The school got some undesired attention over some props that were photographed hanging in the school auditorium. Swastikas, to be exact. These swastikas are part of the set of this particular play. 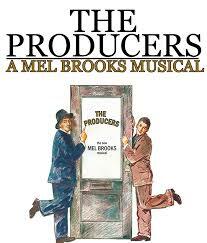 I saw them on stage in the Broadway production. Certainly, as a Jew and as a grandson of Holocaust survivors, I found the symbols offensive, both on Broadway and on the TZHS stage. Then again, there is much that takes place on Broadway that can be considered offensive in the spirit of entertainment. Artistic productions are often meant to shock us and to shake us. I have no doubt that Mel Brooks knew his “Springtime for Hitler” would raise more than a few eyebrows along with uncomfortable laughter. The same symbols left on display in a school auditorium, however, can be quite jarring. When the unsuspecting student or parent walks into a space with these symbols present or sees them displayed on social media, it is perfectly understandable to react with hurt and fear. That is the natural reaction which the symbol evokes for many of us. The lesson the Torah teaches me, however, is that there was a lost opportunity here, as is all too often the case. In a school that makes an effort to teach it’s children about the Holocaust, even having survivors come address the teens, this production should have been seen as an opportunity to integrate history, civics, entertainment, culture, and community building. Discussions about free speech and artistic expression–and the ways in which these things can touch certain nerves and test the limits of propriety– could have been part of the planning in bringing this production to life. Greater understanding and appreciation might have been the byproduct of such discussions. Thoughtful compromise between the risqué Broadway production and a toned-down high school version of the production might have been reached, weeks if not months before the production was set to go. In the end, the banners did not hang, though individuals wore the emblem on armbands as part of their costumes. The same conclusion might have been reached without insults and accusations had the original plan been blessed with a little more wisdom. An event such as this–and the appalling events and attitudes we witness from some of our candidates running for office–points to the need for the exercise of a social correctness that is characterized by our proactive pursuit of teaching moments, and that isn’t dismissed with a pejorative. Insensitivity to the feelings, vulnerabilities and needs of others cannot be tolerated in public discourse, unless our intention is to create a tent that will only hold the few. 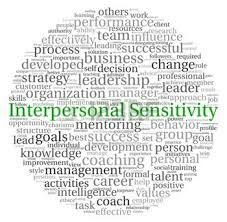 Similarly, we need to practice sensitivity in the interpersonal realm until it becomes second nature. It is possible to express one’s opinions, qualifying that they are based on a certain set of beliefs and granting that there are counterbalancing and competing claims. If we wield our opinions as weapons to shut down opposition or to denigrate those who are not swayed, any conversation is over before it starts and any possibility of learning or growth is lost. In fact, our actions and our words will be far more effective and persuasive if we consider from the outset how they will impinge on others and how they will be heard best. With a little more consideration, empathy and forethought, we may change a few minds yet, and even coax a few laughs along the way. Maybe then the sanctuary we put together will be a tent which God would be happy to call home. Well done. It may be easier to give God a home than it is to bring politicians and supporters together.